Being Canadian is tough. It takes work. Since long before Confederation, Canadians have experienced periods of existential re-examination in which we have struggled to determine just what it is about being Canadian that is worth proclaiming and protecting. Strong leaders do not shrink from those moments. In fact, they seek them, shape them, and have us learn from them. 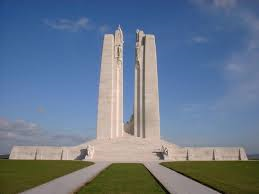 The first such moment emerged from the First World War’s muck of Flanders and the ridge at Vimy. Before the war, most Canadians considered themselves British. Afterwards, we were Canadian. Prime Minister Borden insisted that Canada sign the Treaty of Versailles and have its own seat in the ill-fated League of Nations. It was the beginning of Canada’s shift from, as noted historian A. R. M. Lower entitled his seminal 1953 book, Colony to Nation. It was a nice thought. But nothing is as simple as it seems. The First World War also saw the middle of the end of Britain’s reign as the world’s paramount power and the passing of that torch to the initially reluctant Americans. Canada was forced to accept that change when, in 1917, Britain told a surprised Borden that it could no longer help finance Canada’s war effort. He was forced to turn to the United States for help in order to keep helping Britain. In the two decades after the war, American investment in Canada’s economy surpassed Britain’s. Canada bought and sold more stuff over the border than across the Atlantic. Another moment came in the awful spring and early summer of 1940. France and most of Western Europe had fallen to Hitler’s blitzkrieg. It looked like Britain would be next. Prime Minister Mackenzie King met with President Roosevelt near the border at Ogdensburg, New York and agreed upon a continental defence strategy. A Permanent Joint Board on Defence was created. A year later they met again, this time at Roosevelt’s posh Hyde Park estate. The Hyde Park Agreement further linked Canada’s economy to America’s with pledges of wartime purchasing and financing. With Canada’s economy already dominated by the United States, and its culture being swamped by American books, magazines, radio, and movies, Canadian nationalists were infuriated. It appeared that Canada was selling out to a new master in order to shell out to the old one. With the Cold War’s legitimate fear of communism, Soviet aggression, and nuclear destruction, and Canada’s old parents enfeebled, it was good to have a friendly neighbour who just happened to have the biggest, meanest dog in town. Maybe Lower was wrong. Perhaps Canada had not moved from colony to nation but from colony to nation and then to colony again. An important Canadian leader challenged the trend and forced a new existential moment of self-examination: John Diefenbaker. Like Canada’s founding fathers, he was not anti-American, but pro-Canadian. Canada, he argued, was in danger of losing all that Canadians held dear unless action was taken to establish a greater pride in being Canadian and more independence. Diefenbaker argued that Canadians needed to determine if they had a country worth fighting for and were up for the scrap. Canada, he said, must stand up for its sovereignty and declare itself a colony no more. Diefenbaker was prime minister from 1957 to 1963. His nationalist vision led him to stand up to Eisenhower and then Kennedy in ways that frustrated both. President Kennedy wanted Canada to join the Organization of American States, stop trading with Cuba and China, back Britain’s joining the European Common Market, and accept American nuclear weapons for its weapon systems in Canada and Europe. Diefenbaker said no, no, no, and no. 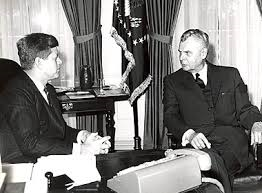 Despite having ignored Diefenbaker while deliberating options during the early days of the Cuban Missile Crisis, Kennedy demanded an immediate and obedient response to his order regarding the alert level of Canadian troops. Diefenbaker said no. The highly respected George Grant noted in his influential book Lament for a Nation, that Diefenbaker’s standing up to the Americans represented the “last gasp of Canadian nationalism.” After Diefenbaker’s defeat, his nationalist vision was shunted to one side for Lester Pearson’s economic integration and the fluffy patriotism of his flag and fair. Sparks of patriotism always flare and fizzle. Patriotism is about celebration. Nationalism is about identity. Patriotism can dance merrily along without autonomy, but nationalism demands it. Unlike the bread and circuses of patriotism, or jingoist chest-thumping, or empty-headed chauvinist aggression, nationalism reflects a quiet, self-assured confidence in what is unique, valued, and valuable. It is inspirational and aspirational in defining what deserves to be cherished. It’s what is worth fighting for long after the “We’re Number One” chants are forgotten. That was the pro-Canadian, historically and ideologically-based nationalism that Diefenbaker proposed. John Diefenbaker was a flawed Prime Minister and, in many ways, a flawed man. However, we cannot allow those flaws to blind us the importance of the existential moment he offered. Perhaps, as we pause to consider the sacrifices of those who fought in long ago wars and the battles of yesterday, we can reflect on the Diefenbaker moment. Maybe we can ponder the questions he asked and the vision he proposed. Do we have a country worth fighting for? This column was originally published on the site Leaders and Legacies. If you liked it, please share it with others through the social media of your choice and consider checking out Leaders and Legacies.